A few months back, I saw the documentary Eat, Fast, Live Longer. That night, Nick and I talked about the findings shared in the documentary, and decided to give it a go. Funnily enough, the same night, my parents also made the same decision, although from a rather different perspective. Nick and I were at reasonably healthy weights when we saw it – sure, we had a few extra kg, but neither of us would have been classed as overweight – maybe in the upper range of ‘healthy’. I was pretty fit, having just reached the end of my first triathlon series, culminating in a Sprint Tri, and we’d both lost quite a bit of blubber when we switched to a mostly Paleo diet the year before. We were interested in the long-term health benefits laid out in the documentary – backed up by some intriguing cutting-edge science. The idea that by simply fasting and cutting our calories by ¾ twice a week, we could very likely prevent diseases of the modern world like cancer, heart disease, and diabetes was tempting for sure. My mother – who had been slim her entire life – was struggling with weight gain brought on by medication. In short – for them, the weight-loss benefit was the most pressing and urgent one, with the dream that they could avoid further cancer and other diseases as they aged part of the package. Nick and I have been following the 5-2 fasting regime for a few months now. While we were at home, we were religious about it. We made sure our ¼ calories on fast days were spot-on, and we usually found ourselves splitting this into two meals – one around 2pm and one around 7pm. Working from home gave us the freedom to eat when we felt the need, rather than fitting it into an outwardly-imposed timeframe. Since we’ve been travelling, we’ve mostly stuck to it. We took the week of when we were in New York, figuring it was our one and only chance to be there and indulge in a myriad of awesome food. We also took last week off as we were apart and both travelling quite a lot over the space of a few days – I was at a conference, too, and decided to indulge a little. When we were with Nick’s family in Canada, we modified our fasting – we would not eat anything all day, and then at dinnertime, we’d eat whatever we wanted – often at a pub or restaurant with the rest of the family. Kinda half-assing it, I guess. This week, we got right back into the proper routine. And man, do I feel GOOD. 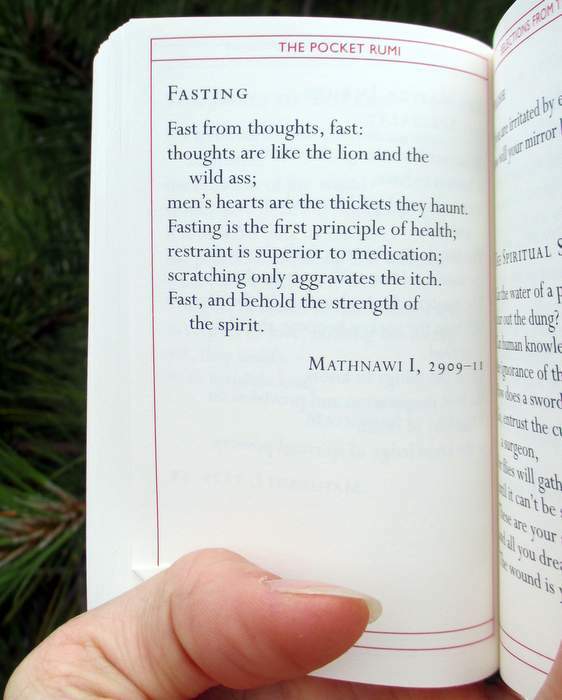 It made me realise that I actually really LIKE – possibly even love – fasting in this form. I’ve done fasts before in my life – from the 40-hour-famine when I was a kid (sucking on barley sugars like there was no tomorrow) and weekend-long fasts during my spiritual seeking years in my 20s (I went from being an atheist teen to seeking to coming back to being an atheist adult, in case you were wondering). Those previous fasts taught me something – that I hated fasting. I felt weak, shaky… it was no fun and I didn’t see any benefit from it. The type of fasting I’m doing now? Totally different ballgame. This is how it shakes down for me. I have never been a natural breakfast eater – until we switched to Paleo and ate high-protein breakfasts based on eggs, which I found I enjoyed and could stomach, but even that was at least an hour or two after waking up. So – not eating in the morning is not a hardship for me – I don’t even really notice it. I don’t ever get hungry until around maybe 11 or 12, so fasting in the morning is a no-brainer for me. Some people who do this form of fasting split their daily 500 (or 600 for men) calories in half – having half at breakfast and half at dinner – but I find that if I force myself to eat half at breakfast, I just get hungry sooner in the day, and it’s more torturous. I have discovered that I actually prefer to fast all day, and then eat my daily 500 calories all at once at dinnertime. Nick, on the other hand, simply can’t do this. By 2pm he is a grumpy, starving, ravenous beast who must be sated. He’s worked out that the 50/50 split at around 2 and 7 works best for his body. He still gets a good overnight/day fast, but he alleviates the weak/hungry feeling by eating at 2. I have come to actually look forward to fast days, rather than dreading them. First, I really do feel like I’m giving my body a rest on fast days. I feel lighter, freer. My stomach is quiet and calm, not busy constantly digesting food and taking energy. That energy is then free to be diverted elsewhere. The studies referenced in the documentary show that by fasting, you reduce the level of IGF1 in your blood – thereby switching your cells from ‘go go’ mode to ‘repair’ mode. I swear I can feel the change in my body by midday on the fast day. Second, I love not worrying about meals. We don’t have to think or plan for breakfast or lunch. It gives us an extra hour at least in the day, and Nick gets a break from cooking/cleaning (at home, he does the housework while I work in our business). Sure, you have to be a little more careful planning for your dinner (or in Nick’s case, his 2 meals) but honestly, it’s not hard, and once you get a few 500-calorie (or 300/300 calorie) meals sorted, it’s pretty easy. It’s amazing how this frees up not only your time but your mind. You’re not doing the regular ‘should I eat a snack/mmm chocolate/when’s lunch/I’m still hungry’ dance you do when you eat throughout the day. It’s simply not an issue, so you put it out of your mind. Or at least I do. I will add here that I do drink black coffee in the morning and during the day on a fast day (usually 3-4 cups) so that helps to make you feel like you’re getting something – something warm with a taste, at least. Third, it really makes you appreciate food. In the Developed World, we can pretty much eat what we want, when we want. There is no limitation. No moderation. When we do impose a daily restriction on ourselves – that thing called ‘dieting’, it drives us crazy because you are constantly depriving yourself. On fast days, you really, really appreciate that meal. You take the time to savour it, to really taste and enjoy it – and it makes you enjoy the food on non-fast days more, too. You realise that each bite is a joy and a privilege. One that many people in the world do NOT take for granted like we do. Fourth – you actually end up eating LESS on non-fast days. I’m not sure if it’s because your stomach actually shrinks, or that you are just more used to being full on less… or that only eating a max of one meal of 500 calories twice a week re-teaches you what full actually FEELS like… but it’s true nonetheless. I have always been the typical ‘eyes-bigger-than-my-stomach’ type-person. You know, the one who would order more than they could actually eat but then force themselves to finish. The kid laying in the Sizzler parking lot, trying not to throw up from gorging on too much food (yes, this actually happened to me when I was a kid – sad, huh?). I LOVE to eat. Through fasting, somehow, moderation in eating is coming more naturally. And that is good for not only my waistline and my long-term health, but for my sense of self and self-control, too. Fifth – yeah, I lost weight, too. I don’t know what I currently weigh – as I write this I’m sitting in a campsite by the beach in Nothern Oregon, and I haven’t had a set of scales handy for a good few weeks now. However, my clothes still all fit comfortably, and I feel good in my skin. Considering that the last few times I travelled for this long in another country (the USA a few times, and England) I gained no less than 4-6kg each time, I call that a win. When I left home, I weighed around 67kg – the lightest I’ve been in many, many years. And that happened AFTER I finished Tri training for the year. It was all down to 5/2 fasting. I’m seriously looking forward to this summer and a new Tri season – because by the time I start training seriously, I’m pretty confident I’m going to be significantly lighter than I was last season, which can only end up making me faster. Finally, to answer some possible questions. No, I don’t feel faint or shaky on a fast day. I usually actually feel incredibly awesome come around 1-2pm. Yes, I get hungry. But you know what? It passes. I might feel hungry for 10 or 20 minutes, but so long as I’m occupied, the feeling passes. It ebbs and flows throughout the day. Often, come dinnertime, I don’t actually FEEL hungry at the time – but I eat because I know I need to. 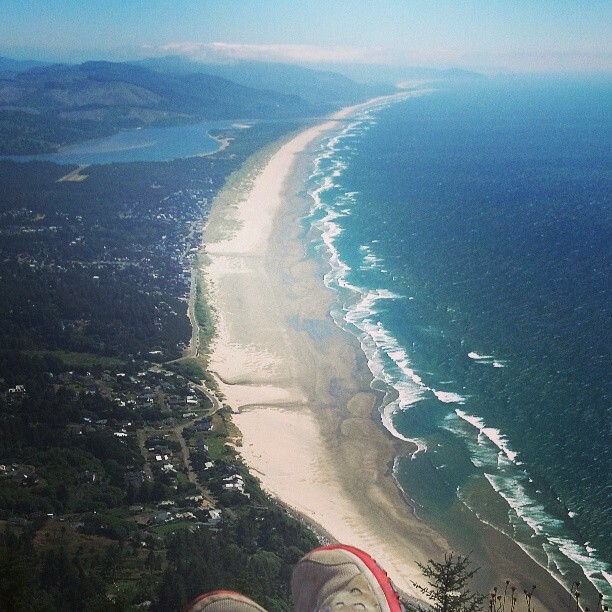 … and I felt just fine during and after the (pretty strenuous) hike. Do I get cranky when people eat around me on a fast day? Of course not! As I told Nick’s family when they were eating sandwiches for lunch after a hike on one of our fast days – it’s a CHOICE we make – it’s not your responsibility to avoid eating around me so I don’t feel bad. I DON’T feel bad, it’s not a hardship or an issue. No-one’s holding a gun to my head and telling me I can’t eat – I could if I wanted to. I don’t want to. For all of these reasons and more, I can easily see myself following this regime for the rest of my life. It’s not a hardship – it’s a joy. But just in case… I’m going to put a note in my Google calendar that will email me exactly a year from now. I hope I’m still fasting, but if I’m not, through whatever life circumstance has come my way, it will remind me to look back to this article and re-awaken my love of fasting. Hey there, future Jess – how you doin’? It’s so good to read this Jess. I have just started seriously “fast dieting” after a bit of a half-hearted go. Hub wanted to do it too, which I’m sure helps as we fast on the same days and eat the same dinner. I don’t have much self-control I’m afraid, so having someone else to share with is a great motivator for me. But I must say I’m loving it already! Sharing is a BIG help – having solidarity – and not having someone eat around you all day 😉 I’d love to hear how you go, Tess!